The Ohio State University (OSU) is a coeducational public research university in the state of Ohio. The university was founded in 1870 as a land-grant university and is currently the largest university in the United States. Ohio State is currently ranked by U.S. News & World Report as the best public university in Ohio, among the top 60 universities in the United States, and among the top 20 public universities in the United States. Ohio State has been officially designated as the flagship institution of the state's public system of higher educationby the newly centralized University System of Ohio. The Ohio State University was founded in 1870 as a land-grant university in accordance with the Morrill Act of 1862 under the name of the Ohio Agricultural and Mechanical College. The school was originally situated within a farming community located on the northern edge of Columbus. While some interests in the state had hoped that the new university would focus on matriculating students of various agricultural and mechanical disciplines, Governor Rutherford B. Hayes foresaw a more classic, comprehensive university and manipulated both the university's location and its initial board of trustees towards that end. Later that year, the university welcomed its first class of twenty-four students. 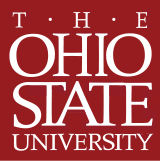 In 1878, and in light of its expanded focus, the college permanently changed its name to the now-familiar "The Ohio State University" (with the article "The" as part of its official name). Ohio State began accepting graduate students in the 1880s, and, in 1891, the school saw the founding of its law school. It would later acquire colleges of medicine, dentistry, commerce and journalism in subsequent years. Although development had been hindered in the 1870s by hostility from the state's agricultural interests and competition for resources from Miami University and Ohio University, both issues were eventually resolved. In 1906, Ohio State's status as the state's flagship campus was written into law by the Ohio legislature through the Eagleson Bill. In 1916, Ohio State was elected into membership in the Association of American Universities. Ohio State was the first university in Ohio to be extended membership into the Association of American Universities in 1916 and remains the only public university in Ohio among the organization's sixty members. The Public Ivies: America's Flagship Public Universities (2000) by Howard and Matthew Greene listed Ohio State as one of a select number of public universities offering the highest educational quality. U.S. News & World Report’s widely read rankings of undergraduate colleges in America currently places Ohio State as the 19th best public university and 57th overall ranked university in America as well as the highest ranked public university in Ohio. China's Shanghai Jiao Tong University placed Ohio State as the 61st ranked university in the world in their 2007 Academic Ranking of World Universities. The Lombardi Program on Measuring University Performance at Arizona State University detailed analysis and rankings of American universities currently places Ohio State as the 24th ranked university in America, the 10th ranked public university in America and the top overall university in Ohio. Of their nine ranking criteria, Ohio State ranked in the top-25 in four categories and between 26-50 in an additional four categories. 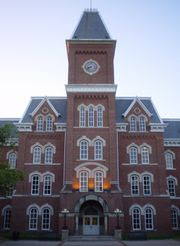 The Washington Monthly college rankings which seek to evaluate colleges' contributions to American society based on factors of social mobility, cutting edge research and service to the country by their graduates currently places Ohio State as 12th in the nation and 10th among public universities. The Ohio State University is accredited by the Higher Learning Commission (HLC) of the North Central Association of Colleges and Schools (NCA).